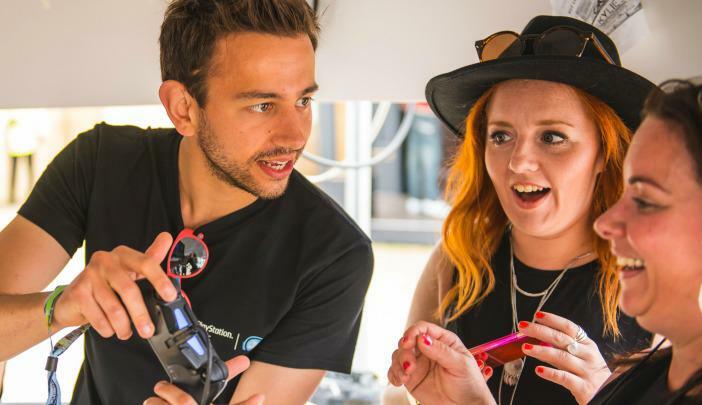 Creative Agency Amplify created an exclusive PlayStation stage at the British Summer Time Festival 2015. The experience was created to celebrate the launch of the leading music service Spotify on the world’s most powerful games console. We have worked on multiple PlayStation activations and therefore have created a pool of PlayStation Enthusiasts. We provided a team of PlayStation Ambassadors comprised of one Event Manager and eight Brand Ambassadors. Our team promoted the stage and wider service. Engaged and educated festival guests about the PlayStation music service. Exceeded targets of 2,000 Music educations over the 6 festival days and distributed 8,000 wristbands on site. Ongoing work with Creative Agency Amplify.